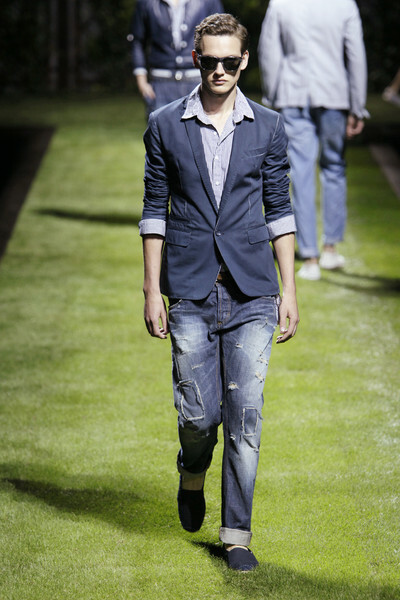 It was a hypnotizing soundtrack at D&G’s ss2011-show. 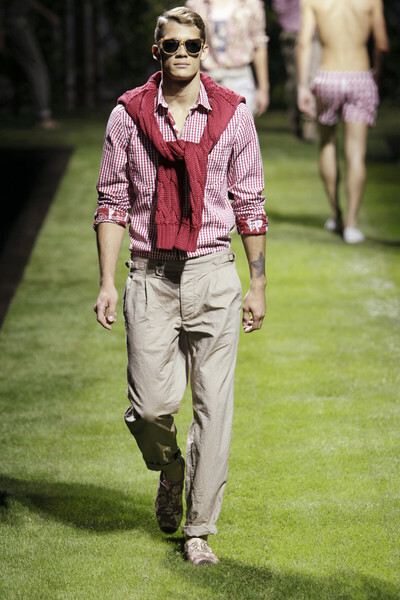 N.E.R.D.’s Hot ‘n Fun played in a loop while the models strolled along the field of fresh green grass all dressed up for a country picnic. It felt like one of those hazy, lazy days. The vibe reminded of the innocent fifties as seen in movies, with happy people, days full of sunshine and the picnic as the ultimate day-trip. 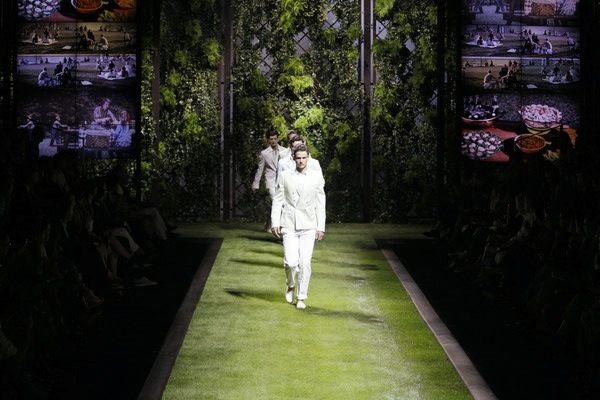 Well, with the D&G-boys keeping you company it will definitely be an unforgettable experience! 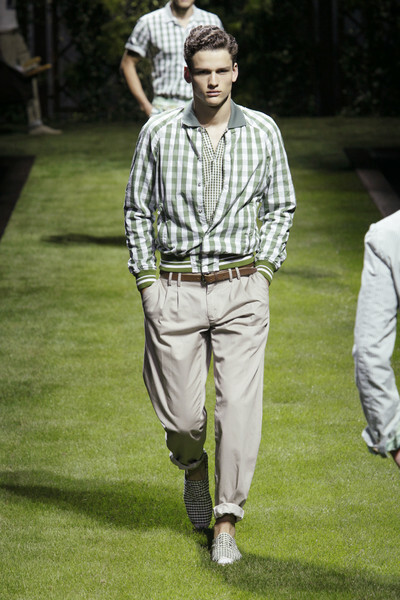 Loose fitted khaki’s and Vichy-checks for shirts, polo’s, pants and espadrilles formed the most important part of the collection. Sleeves and legs were rolled up, bare feet were stuck in sandals or vintage sneakers. Some faded flowerprints popped up at jackets and polo’s. Colors looked like they were faded by the sunlight, there was just a hint of green, gray, red, blue and brown. 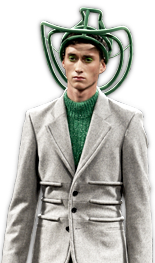 The light colored tuxedo’s were simply striking, never knew yellow, blue and green could be so near white. 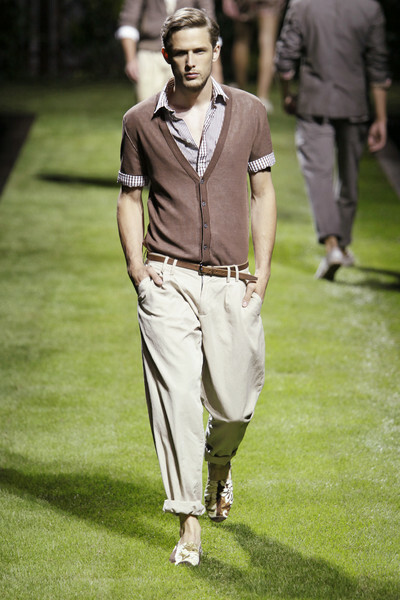 It matched beautifully with the white shirts and pants. 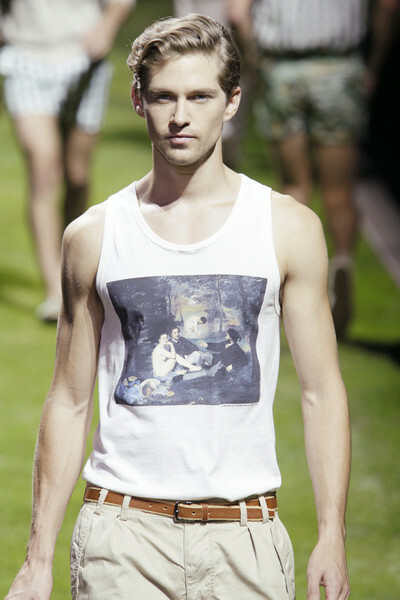 The season’s T-shirt was decorated with a portrait of Johnny Depp as seen in Cry Baby and a painting by Edouard Manet, Le dejeuner sur l’erbe.